The government wants to move the May Day bank to either St George’s day a week or so before, or to ‘Trafalgar Day’ in October. Now there are some who might suggest that targeting the May Day holiday, a strongly socialist and pagan linked date, rather than the other May bank holiday is a bit ideological. Perhaps it isn’t. but it ignores one simple and undisputable fact – we don’t get enough days off compared to the rest of Western Europe. The TUC have complained about this for years, saying in 2001 that with a European average of 10.8, Britain still only had 8, a number which would have been part of the European average, thus dragging it down. 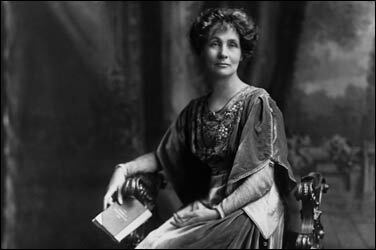 Emmeline Pankhurst’s birthday. Why not pick a suffragette? Was her struggle, and those of the 50% of the population she fought alongside and for, any less significant than that of Nelson at Trafalgar? The uncertainty of her birth date means we can choose, shall we synchronise with France or strike out on our own? Plus mid-July is a good bet for some half decent weather. 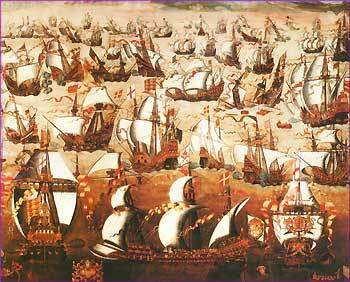 Why Trafalgar Day? Why not another battle? Most WWI and WWII events were over longer periods of time, or are rather more international in flavour, so why not pick a military event which really sums Britain up – the Spanish Armada whose defeat was a combination of British blood mindedness and the weather. Mostly the weather. 18th August is the New Calendar date of Elizabeth I’s “heart and stomach of a king” speech, which is one of the best in British history. The downside is it would be quite close to the existing August holiday. George Cruickshank’s depiction of the Peterloo Massacre, a significant event in the history of democracy in Britain (and a possible contender for a bank holiday in its own right). We don’t really do revolution in Britain, do we? The one time we did, overthrowing Charles I and the ructions that lead to Cromwell taking over, it was reversed within a few decades. Britain has long been the country of incremental changes, so why not celebrate one of the most major incremental changes? The Reform Act 1832 wasn’t perfect, it left a lot of people still disenfranchised (women and poor people mostly), but it was a significant step away from the still borderline feudal world we lived in, towards a slightly more democratic future. We could celebrate the day by going to Old Sarum and pelting effigies of crooked politicians with eggs. Scotland’s 1872 team, great moustaches. If we want major events that happened in the last three months of the year, currently underserved by bank holidays, forget Guy Fawkes Day (might upset Catholics), Halloween (might upset non-pagans/people who hate costumes and having their houses egged), or my birthday (apparently I am not significant enough, humph). What we need is something which celebrates Britain’s biggest cultural contribution to the world. Which celebrates British innovation and ability to apply rules to anything, even something which essentially used to be an excuse for a fight. Which celebrates the way England and Scotland just love to get one over on each other. The first ever official football international match, a 0-0 draw between England and Scotland. Considering the game involved men with amazing names like Cuthbert Ottaway and Reginald de Courtenay Welch, it seems rude not to celebrate it. (Wales and Northern Ireland can have a day off on the day of the first Wales vs Northern Ireland match). Any other similarly genius/insane suggestions?